A timid ninth-grade student cautiously approaches the table with downcast eyes, picks up the oddly shaped dice, shakes them awkwardly and rolls. Cheers erupt from her fellow players and she is transported to a distant shore where she becomes a formidable Amazon warrior, shipwrecked with a party of companions. They’re exhausted and about to turn in at their makeshift camp when the night air is pierced by the shrieks of ambushing raiders. The fierce warrior uses her newfound strength to drive them back into the surf while her friends hoot and holler encouragements. In the months that follow, her confidence grows with every setback and triumph until she overcomes her greatest adversary: school. 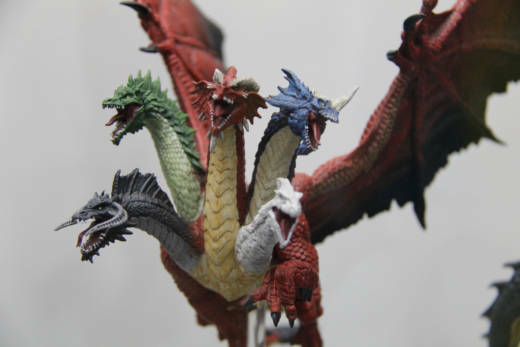 Kade Wells, a Houston-area teacher and occasional wizard, loves to tell this story when describing the remarkable transformations he has witnessed since introducing Dungeons & Dragons to his students. Wells is one of a growing cadre of teachers, professors and therapists who are using the iconic tabletop role-playing game (RPG) and others like it as tools for teaching, learning and social-emotional development. And many report that the potent alchemical elixir of role-play, learning and storytelling has, in many cases, been transformational. But Dungeons & Dragons? Really? Really. In a reversal of fortune that seems lifted from fantasy, the once stigmatized refuge of the antisocial is now the new social, and it has returned from exile with a vengeance. No longer played in the shameful obscurity of closed dorms and basements, Dungeons & Dragons groups are claiming public spaces, and campaigns are proudly streamed on Twitch, YouTube and featured in dozens of popular podcasts. And, perhaps most remarkably, the fear that immersive role-play might damage vulnerable adolescents has been replaced with the radical notion that D&D might actually be saving lives and, according to educator and filmmaker Maria Laura Ruggiero, even the world. Despite its early commercial success in the late '70s and early '80s, Dungeons & Dragons occupied a dubious place in the popular imagination. It was widely ridiculed as escapist fantasy for socially awkward adolescents, and sparked a few eruptions of the moral panic that seems to greet all new cultural phenomena that captivate our youth. It reached its zenith when it was memorably featured in the opening scene of Steven Spielberg’s beloved E.T. the Extra-Terrestrial, marking the start of a slow decline until 1997 when, faced with bankruptcy, the original publisher sold the game to the franchise’s current owner, Wizards of the Coast. Meanwhile, in the decades that D&D receded, the spell it cast on popular culture seemed to spread inversely to its decline. Its influence enchanted every corner of the entertainment industry and, in the process, conjured the conditions for its own resurrection. Besides video games, D&D’s sword and sorcery ethos pervades hundreds of novels, board games, films and TV shows, including global media behemoths like Game of Thrones and Harry Potter. It was also a major plot element in the Netflix nostalgic megahit Stranger Things. But its tendrils run much deeper than influencing the fantasy genre. Born in a time where entertainment was largely passive and spectatorial, Dungeons & Dragons was a bellwether for our current modes of interactive and participatory culture. Many of the geeky kids who played at collaborative and interactive storytelling while earning loot, levels and experience points have gone on to shape the modern world. Its legacy directly or indirectly accounts for social media profiles, video games, interactive theater, loyalty points, the gamification of anything, and the burgeoning array of board game cafes and escape rooms that are cropping up in cities around the world. D&D may have anticipated the interactivity of the digital age but, in a twist of irony, York University professor and professional Dungeon Master for hire Ian Slater partially credits the games resurgence to a growing desire to socialize away from screens. “Between our phones and our computers we do so many things on screen, and although we don’t want to give it up, there is something refreshing and kind of subversive about playing a pen and paper tabletop game,” said Slater. The explosive return of Dungeons & Dragons speaks to its relevance in a society now willing to embrace what it was once so eager to cast away, which is one of many paradoxes raised by its resurgence: It’s both old and new; it offers digital interactivity in an analog format; it is steeped in fantasy, but has (as will be seen) real-world impact; it was reviled for being antisocial and is now celebrated for its sociability; it was once accused of being immoral, and is now used for moral instruction. Maria Laura Ruggiero is an award-winning filmmaker, narrative designer and self-styled storyhacker who believes that Dungeons & Dragons can save the world, her topic in a recent session at SXSW EDU. It sounds like a stretch, but she backs up her provocative claim with some persuasive logic. Stories and narratives not only shape individual identity, but also set the template for culture and society. “Understanding that the world is made of stories, and we are nothing but the stories we tell ourselves, can be a very powerful experience,” said Ruggiero. She believes that “hacking” social and personal narratives with new and improved stories can imaginatively re-envision reality to produce a better self and, by extension, a better world. As a collaborative, dynamic storytelling system that demands sustained role-play, Dungeons & Dragons acts as a sort of crucible to deconstruct and recast new identities and new worlds. This plays into a theoretical strain in the humanities, known as the “narrative turn,” which frames most human knowledge production, including science, as an amplification of the fundamental human impulse to make sense of and organize the world with stories. In preliterate societies, stories contained collective histories and memories, defined cultural identity, instructed on social norms and morality, explained where the world originated and how it works and, of course, they entertained. Today, these functions have extended to a variety of institutions and technologies, all of which can still be understood in a narrative context. Consequently, education is a dominant and influential narrative with an often predictable plotline and a broad but familiar cast of characters, including bullies, jocks, dropouts, keeners, inspiring teachers and bad teachers, to name a few. Of course there is much to celebrate but, in too many cases, the education story is about pain, injustice, exclusion, coercion, insecurity and unhealthy competition. And it’s a story that fails many of our youth and ultimately society.